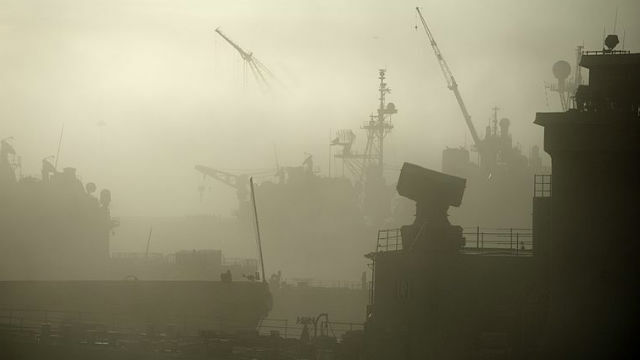 Fog shrouds ships at Naval Base San Diego is this file photo from the Navy. The National Weather Service office in San Diego is forecasting areas of dense fog and temperatures in the 40s at midnight on New Year’s Eve. The weather service warned of “local visibility one quarter mile or less at times overnight” up to 10 miles inland from the coast. Low temperatures overnight were expected to range from 39 to 49 along the coast and 47 to 57 inland. New Year’s Day will begin with patchy fog. Highs will be in the upper 60s along the coast to mid 70s inland.